Last week, my husband and I made a trip down to Charlottesville to my alma mater, the University of Virginia (UVA), with our six month old daughter, Ava. It was honestly one of the happiest days of my life, walking through the university grounds, showing my college where I had gained a priceless education with my baby. 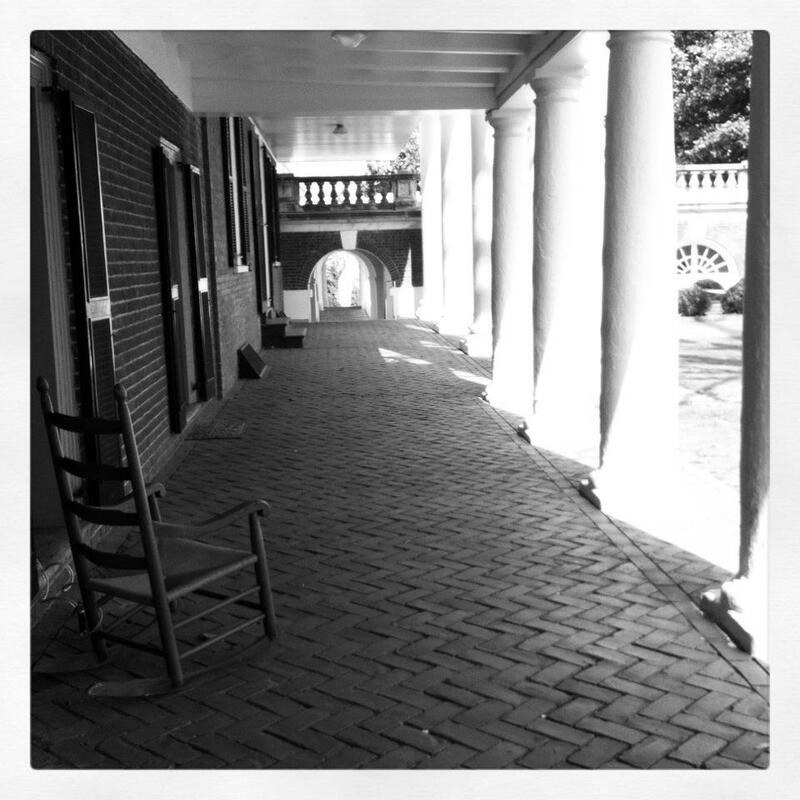 As I strolled through the shadows of my twenties still hanging around the edges of the iconic pillars and columns of Jefferson’s village, a wave of nostalgia came over me, as it often does when I return to UVA, one of the few places I miss and long for even while I am there. I thought about who I was back then, who I am now, and who I thought I would be. I found myself measuring my accomplishments while telling stories to Ava about who her mother was before she and I had met. I shocked myself with not only the level of my sudden explosion of insecurities and doubts, but also with the fact that I was having this conversation with myself again. 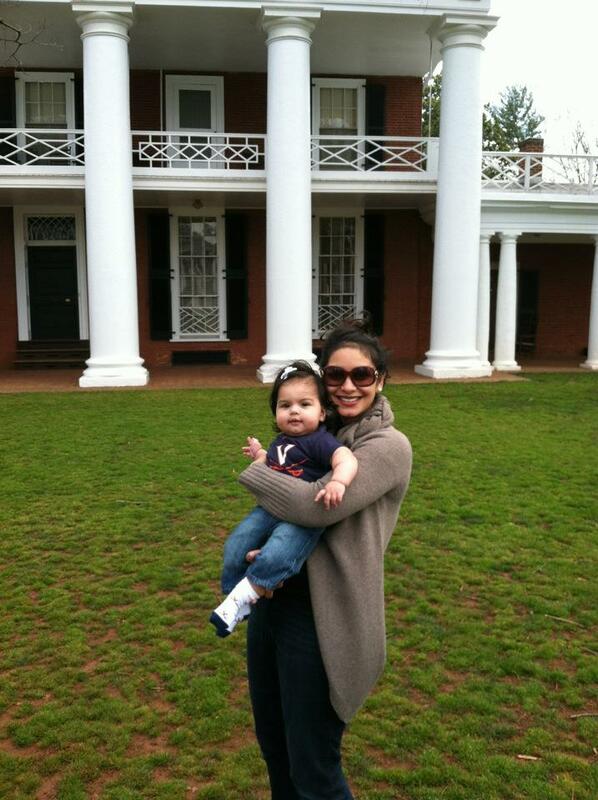 Sharing UVA With My Daughter, One of the Best Days of My Life. Image Credit: Shayan Pahlevani. The Internet has made it so easy to announce and seemingly measure success, to advertise our accomplishments that our generation not only thinks that being 30 is “old”, but our expectations of how fast we should achieve our goals has become severely skewed. At the time of my “breakdown” I was living in London working for the UN having this full-fledged panic attack of being a loser in life, I had no idea how many of my peers were having the same doubts. The Shadows of my Twenties Still Hang Around the Edges of the Iconic Pillars and Columns of Jefferson's Village. Image Credit: Anushay Hossain. Our desire for speed has distorted our concept of how fast our life should be moving, and how fast we should be checking off our goals on our “To Do” list. If we expect to save the world by the time we are 26 years old, what the heck do we expect of ourselves at 50? What is even scarier, aside from the fact that an entire generation of people are driving themselves into a panicked frenzy over nothing, is that many of my peers are actually doing it. They are accomplishing the unthinkable. I actually know 28 year old CEOs, or people who just turned thirty but already have degrees from not one, not two, but three Ivy League universities. Nicole Lapin‘s Twitter bio is enough to give you a serious inferiority complex. This morning I was chatting with my old college buddy, who mind you went to UVA and Columbia’s prestigious school of journalism, before becoming a producer at NPR all by the time he hit 25. We were talking about a friend whose ambitions had caused her to collapse. Her body had literally given up, and she was undergoing a series of tests to find out exactly what was wrong with her health. It made me think, what is the rush? What are rushing for? What are we rushing towards? Even if we manage to slow ourselves down, why are we so easily complexed by the successes of our peers, so easily stressed by the perceived lack of our own accomplishments that we immediately feel we should start moving faster, start stressing more? If we expect to be moguls by the age of 30, is there really a point if we are going to cause our bodies to shut down by the time we are 31? Is there a point of being successful if you do not even have your health to enjoy it? Has the Internet made us genuinely more driven, or just public glory addicts? My friend and I made a list of people we know who despite accomplishing amazing things in their professional lives while still being very young, were actually mentally unhealthy, imbalanced and sadly, unhappy. We talked about what the point was of speaking out loud if you had nothing to say, of writing books when you had no story to tell. Again, what is the rush? Why can we not slow down and enjoy, instead of just rushing to accomplish for the sake of it? I think especially living in America, it is hard to remember the significance and benefits of living a slow life, literally taking the time to smell the roses when the culture of caffeine and smart phones pushes you just to go go go, keep moving even if you have no idea where you are going. What I realized when I was having a panic attack over my perceived lack of accomplishments was that I would never want my daughter to have that kind of anxiety over nothing. It made me think that life, as fast as it may appear to go, is actually quite long. It does not all pass at the speed of the buttons on our iPhones. If we accomplish everything in our youth, what do we have to look forward to in our later life? It is better to slow down and savor then run and get lost along our way. After all, we will miss possessing the wisdom that can only came with age and experience, two qualities that can only make us more successful. Next PostAsma al-Assad: To Shop or Not To Shop? Anushay – I know you totally wrote this directly at me! Thank you. But then I shared it with my boyfriend and friends and they said the same thing. Thanks for putting our individual thoughts into collective and insightful words. I’m one of those kids on a roller coaster to a never-visible end goal. I’m 19, in my second year of university, and already there’s talk to professional internships, applying for this exchange program, and that “opportunity”. I’m working two part-time jobs to gain “experience” and though I’m the sort who can’t sit idle, sometimes I find myself wondering when it’ll be time to slow down. Anushay, whenever you pass by some hill-stations especially in North of India, you often come across nice signages by the road which read like- ‘Pause and think- from where you came from and where you are heading for’, ‘Slow down and smell the roses on your way’, ‘Savour the pleasure of driving slow as you glance past your life in slow motion’ and ‘Just tread along the lovely mountains at leisure for the destination will not be as beautiful’. These meaningful quotes validate the claims made by your well articulated post that reassures the faith in life and in living slow but steady! Kudos for a brilliant piece of insight! More often than not humans tend to think of similar things, but restrain themselves from sharing with each other, only to eventually find out that others were simultaneously processing similar ideas. I graduated from U.V.a. last summer. 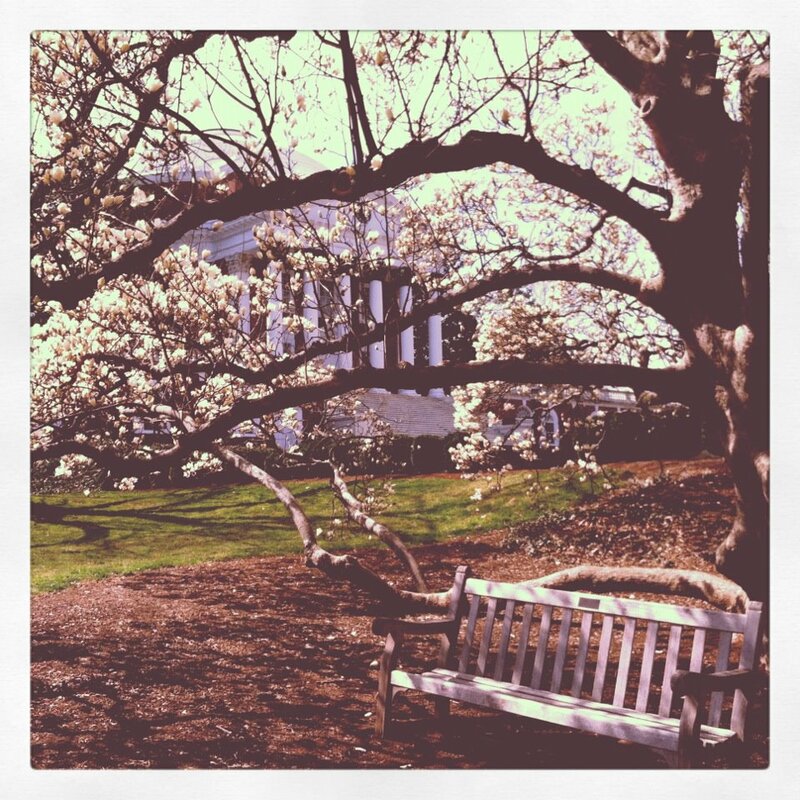 This morning I came across this post on the UVA Magazine. Thank you for printing the thoughts that many of us already had, but were afraid of sharing. This post is precisely why as a second year student I began writing a blog called Minute by Minute. As a young scholar I tended to continuously set goals for myself, and instead of celebrating when I reached a Finish Line, I would immediately set another goal and continue on. Today, I am determined to enjoy the present, which as the minutes go by becomes my past, and builds the base for my eventual future.